The best way to treat headaches and migraines is to prevent them from occurring in the first place. Unfortunately for many people avoidance of triggers just isn't enough, and they will require medication to prevent migraines. Frequent migraine headaches can really affect a sufferer's quality of life and it is important to discuss the frequency and intensity of your headaches with your doctor. Together, you can both find the medications that work best for you and provide the fewest side effects. The following drugs are likely to be ones that your doctor may suggest for prevention of migraines. 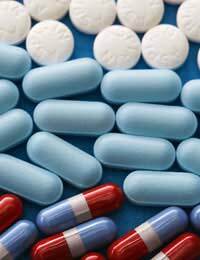 NSAIDS are pain relievers that are commonly used for a variety of ailments. They are available over-the-counter or in stronger prescription form. Non-prescription NSAIDS, such as ibuprofen and naproxen can be taken daily in minimal doses to moderately reduce migraine headaches. Although available without a prescription, however, any regular or long-term use should only be on the recommendation from your doctor. Prescription strength NSAIDS can reduce migraine frequency with higher effectiveness than non-prescription, but side effects are more likely to occur. Mefenamic acid and prescription strength naproxin may be suggested by your doctor for migraine prevention. Beta-blockers are actually prescribed most often to reduce high blood pressure but some have been found to reduce the frequency of migraine attacks and their severity when they occur. Two such drugs, propranolol and timolol have been approved specifically for prevention of migraine headaches. Anticonvulsants are a class of medications that have consistently shown effectiveness in their use for migraine prevention. Some anticonvulsants that may be prescribed are divalproex sodium, gabapentin and topiramate. Tricyclic antidepressants (TCAs), such as amitriptyline, can aid in migraine prevention for some sufferers, particularly those with underlying depression or insomnia. The effects of antidepressants on headaches are likely due to their effects on serotonin, a chemical messenger in the brain that affects migraine. Amitriptyline is generally accepted to be one of the most effective TCAs for migraine prevention but other TCAs such as doxepin, imipramine, nortriptyline and protriptyline have also shown benefits. Other antidepressants that are less helpful than tricyclics but still may be suggested are selective serotonin reuptake inhibitors (SSRIs). These include fluoxetine, sertraline, paroxetine, and fluvoxamine. Calcium-channel blockers are prescribed for preventing both migraine and cluster headaches. They typically must, however, be taken for several weeks to months before any benefit is observed. Verapamil is the drug often used for prevention of migraines. Other calcium blockers, such as dotarizine and flunarizine currently suggest promise for migraines. For children who suffer from migraines, lunarizine has shown benefits. Ergotamine and dihydroergotamine (DHE) are drugs in a class known as ergots that are usually used to treat migraines as they occur. It is unlikely they will be recommended for prevention in most cases. They can, however, be useful in preventing migraine attacks such as those present at the same time each month based on the menstrual cycle. Oral contraceptives or hormone replacement therapy are primarily suggested as preventative measures in migraine treatment, based on the idea that they balance a woman's hormones. The reactions can be very unpredictable, however, in that some women actually experience a worsening of symptoms. Angiotensin II receptor blockers (ARBs) are a newer class of antihypertensive medications. They have shown promising results in preventing migraine headaches. Irbesartan and candesartan are two ARBs that may be used for migraine management.If migraine headaches are having a strong impact on your daily life, preventative prescription medication may be the key to managing your pain. The choice of preventative drugs will be partially dependent on the side effects you experience as well as any other illnesses that may be present. Also, if you have already tried preventative migraine headache medications without success, don't give up hope, as research and drug trials are ongoing. In the meantime, you can continue your own research into migraine prevention so that you'll be ready to make an informed decision as new medications are introduced.